This beautiful couple @Deepika Padukone and @Ranveer Singh’s wedding placed at the Villa del Balbianello on Lake Como in Italy. 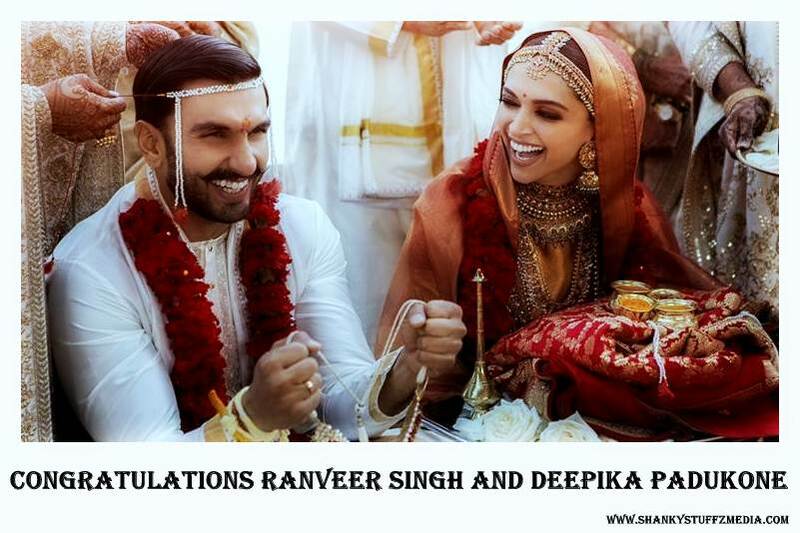 Finally, Two sensational stars Ranveer Singh and Deepika Padukone now became a Married couple and they showed first look pictures of their marriage held in Italy’s Lake Como. Ranveer Singh And Deepika Padukone posted their First photos on their Instagram account on Thursday evening at the same time. The Pictures saying their happiness. Hrithik Roshan also posted an update about this beautiful couple and said “Huge Congratulations”. We, Shankystuffzmedia Team also wishing Both Ranveer and Deepika for their Life. Congratulations !! These pictures are Posted by Ranveer Singh and Deepika Padukone on their Instagram Accounts. They are now the most popular and trending married Couple. Maybe they are the most trending celebrities in the year 2018. Deepika Padukone looking at her husband Ranveer Singh . Also, Nitasha Gaurav posted a Photo of Ranveer Singh and Deepika Padukone with the baaratis, his mother Anju Bhavnani, his team, and other friends. Ain’t they looking a Beautiful couple! Karan Johar, Arjun Kapoor, Anushka Sharma also Wishing this Sweet newly couple. A New Journey Begins for Ranveer Singh And Deepika Padukone.